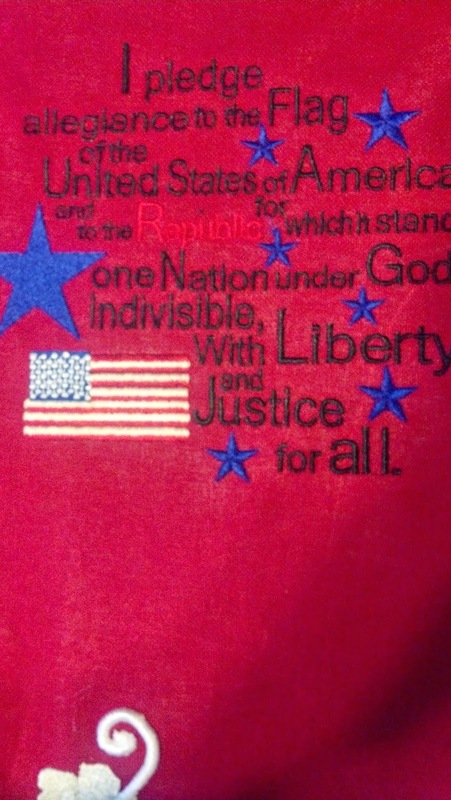 As mentioned last week, I did embroider our tee shirts with the Pledge of Allegiance. 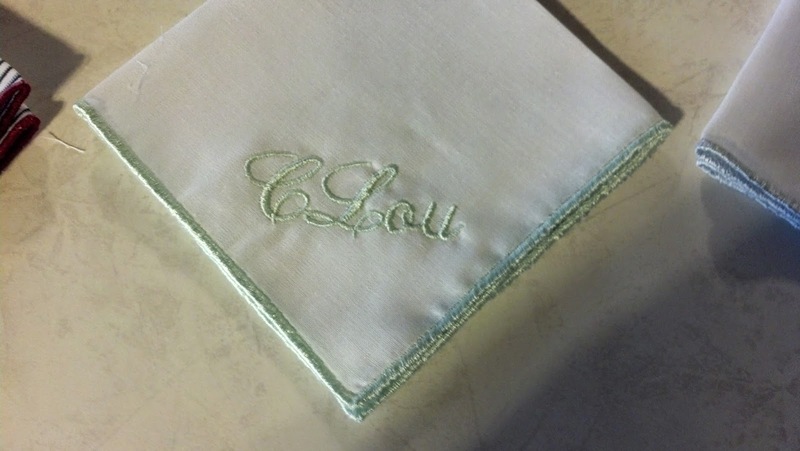 They turned out so good that I took pictures and posted on our Cajun Stitchery Facebook page. Not long after posting one lady commented and purchased a tee shirt with the embroidery. Another friend has purchased one, too. However, as the first lady and I were commenting back and forth, another person decided to comment. That comment was not very nice and basically said I was wrong to use the Pledge of Allegiance for monetary gain. I didn’t feel the post deserved a comment. Not long after that someone else posted a very lengthy post regarding the controversy of the Pledge of Allegiance. I deleted both comments. A little while later, another person commented that she was pleasantly surprised that no one had posted controversial comments. Nevertheless, that post received over 1,000 hits. More than I have ever had for a post on Facebook. We went to a friend’s home for Easter. Since George and I ALWAYS color Easter eggs and hide them at her house, she asked that we please refrain from doing this. Instead, one of her guests was bringing her two little boys and would we please hide the eggs for the children. We were delighted to do so, of course. Well, not without a little bit of good ole Cajun fun. We did color the Easter Eggs. We did hide them for the little boys. We did tell our friend that there were 22 eggs – 2 dozen shy 2 eggs that broke. We did actually only have 20 eggs. Hahahahahaha!!!! I wonder if she is still searching for those other 2 eggs. George has been very busy in the garden and caring for the lawn and plants. The place is looking very nice right now. One of our front yard plants is a papyrus. The papyrus decided to take over the yard. George dug all of the papyrus up but put one in a half whiskey barrel. The papyrus looks very nice and we feel good because it won’t take over the yard and yet we still have a specimen to admire. Funny thing is that as the papyrus has recovered from transplanting and winter, the soil is producing a few surprises of its own. Johnny Jump Ups are jumping up in the pot along with a few other plants from our yard, including a tomato plant. Our yard is always entertaining. Even though the handkerchiefs have been a success in our Etsy store, one of the most popular handkerchiefs has been taken off. 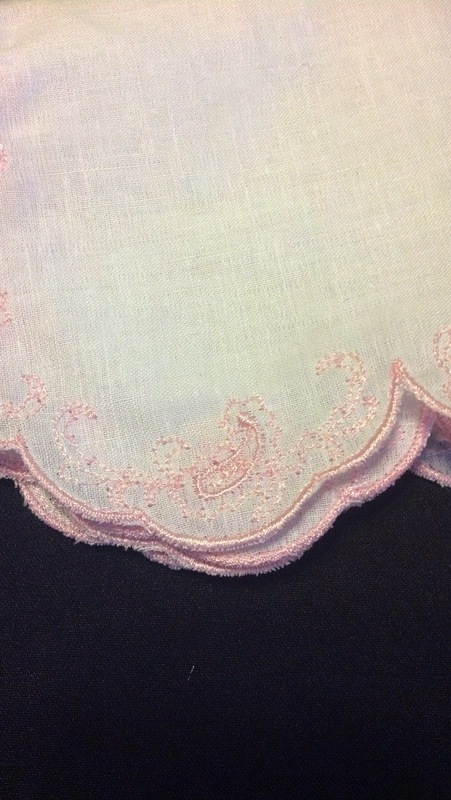 It is the scallop edged hanky that has the thick scallop. It just never looked right to me. Oh yes, it is beautiful but as the designer there is something wrong with it. One thing was that on each scallop there was a stitch or two in the middle that looked bad. My wonderful embroidery tech taught me how to get rid of those stitches. The issue is now resolved. The next issue is unevenness of the threads when detached from the hoop. I’ve been working on that today. The outcome is that there will be a few more handkerchief designs available in our Etsy store in the near future. 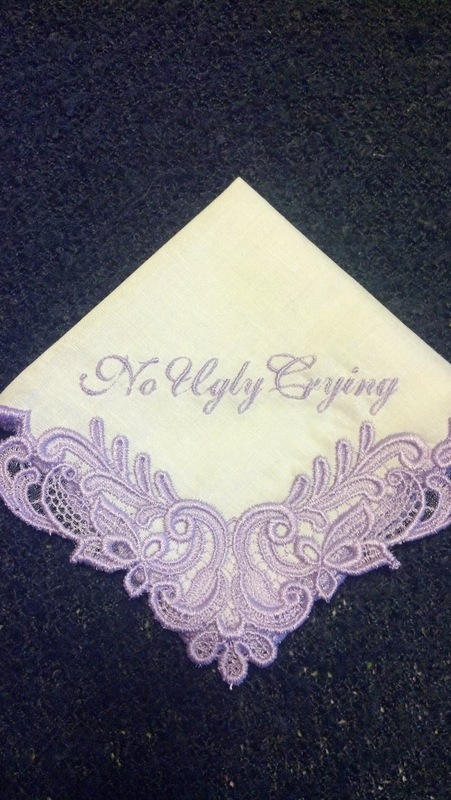 With all of that said about handkerchiefs, we completed an order this week for three white with lavender stitching handkerchiefs that say, “No Ugly Crying.” Yes, it is for a wedding. Our customer is in Canada. They turned out beautiful. A gentleman called me this week wanting some patches. “Do you make patches?” he asked. Yes, we make patches. It turned out that he is a truck driver who changed companies or opened his own company and needed some patches to put over the embroidered logos on his pants and shirts. His lovely wife came to the studio and showed me his shirt and approved the patch design. They are done. Before she left, I asked her how they found me. She said that they live in Ensley (a small area just north of Pensacola) and they called every embroiderer they could find but no one made patches. 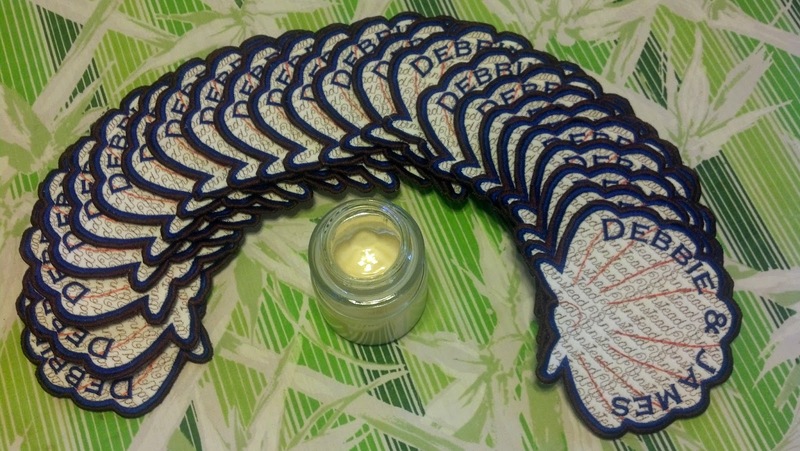 I suspect no one made small order patches. 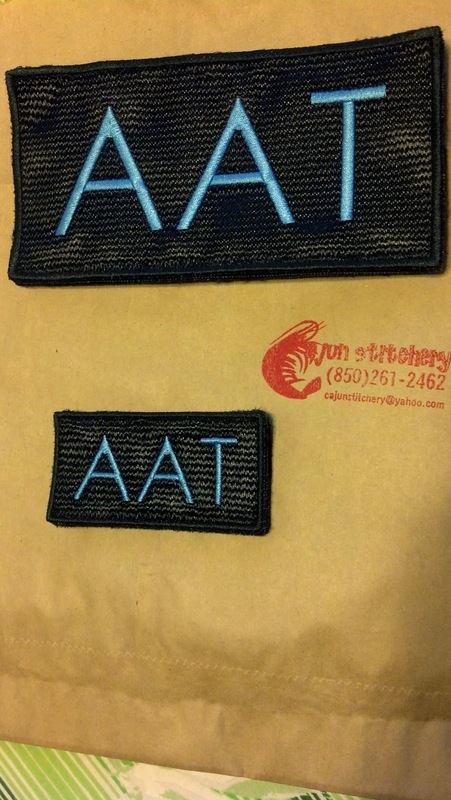 Apparently embroiderers have a minimum number of patches required before they will take the order. Luckily for this couple, they found Cajun Stitchery who will accept small order patches. 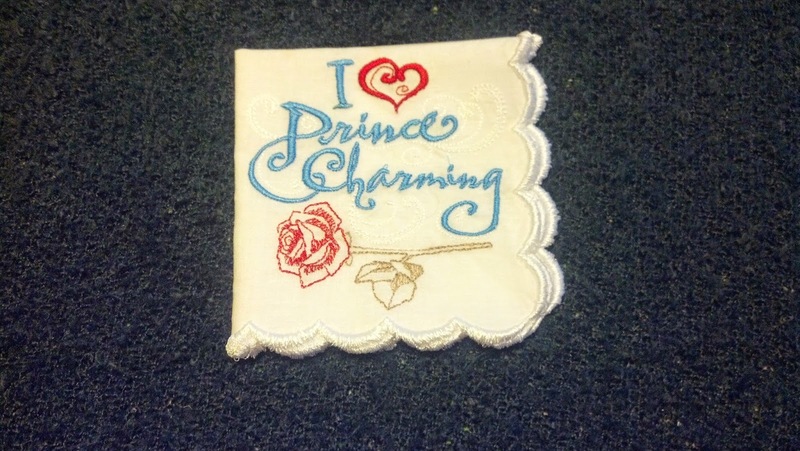 It is a shame that more embroiderers don’t take small orders. There is a demand for “In Memory of” type patches. As in this case, rather than tossing out good clothes, a nice patch can cover the older emblem. In fact, any design can be made into a patch. It is only a matter of putting the square, circle, or geometric shape outside the design. Since I was already working on patches, I designed a patch for a friend of mine who works protecting the sea turtles. The patch has not been stitched out yet, but she loves the design. Spring comes and goes this year. A friend and life long resident of Pensacola once told me that we have one last cold spell in mid-March and then it is spring. Usually that is true but this year little frosty days have popped up in April. And the rain! It seems we’ve had quite a bit of rain this year. No problems here. Our garden is very happy. We had a week or so of company. It was so nice to be able to have out-of-town guests and let them stay at the studio. The bed over there is apparently quite comfortable. It is too low for my tastes and George promises to make a platform for the bed someday. It may be the full moon this past week but my printer died and we had to buy a new one. Then our microwave died and we had to buy a new one. Now it looks like our Mr. Coffee may be dead. Goodness gracious! Things need to last longer. In spite of all of our activity this month, a lot of embroidery was done, as well. 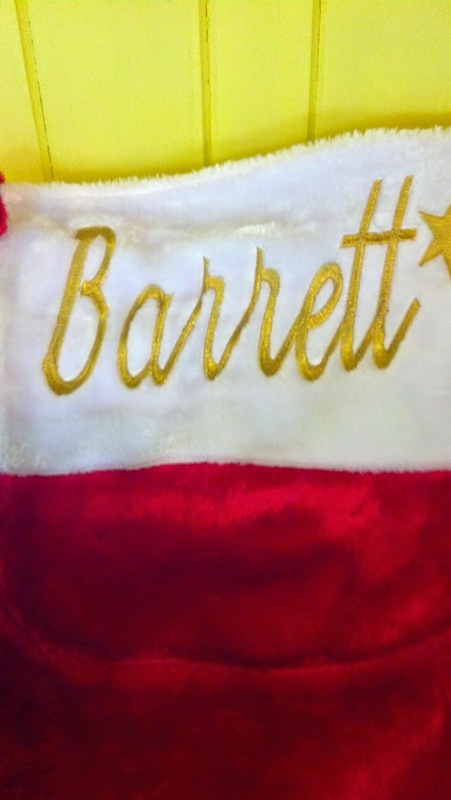 I finally finished a non-rush project of a name on a huge Christmas stocking. I kept putting the project off because the customer didn’t need it until Christmas. George finally said that if I keep putting it off Christmas will arrive and then it will be a rush job. So, I did it and it turned out beautiful. In my endless pursuit of trying to use all of my scrap fabric, I made a cute “Happy Easter” banner that turned out very nice. It is now hanging in our showroom. 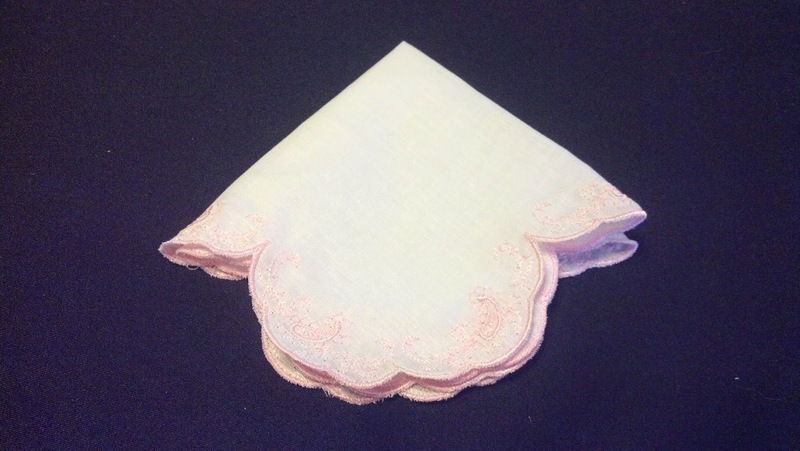 Handkerchiefs are the highlight of our Etsy store. One lady contacted me on Etsy to find out what kind of fabric I had available for handkerchiefs. After sending her pictures of a lot of fabric she decided that she wanted four handkerchiefs made. Two of the handkerchiefs were to be made from our black and white pin striped fabric and the other two from our 100% cotton white fabric. 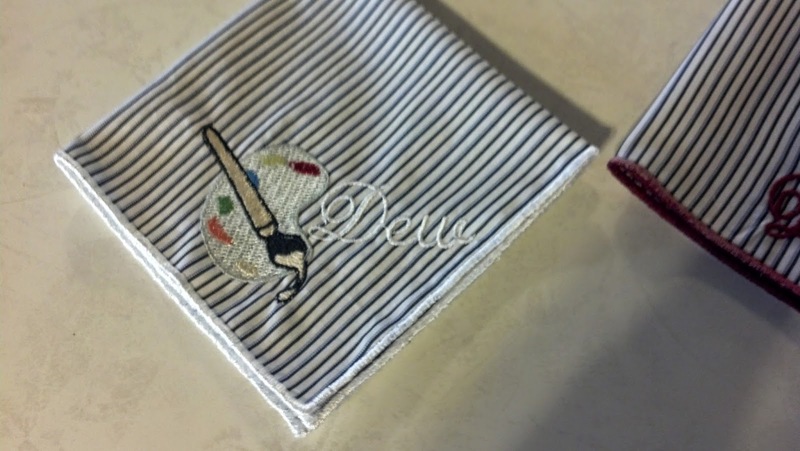 One of the black and white pinstriped hankies was to have an artists palette and the word Dew in script. 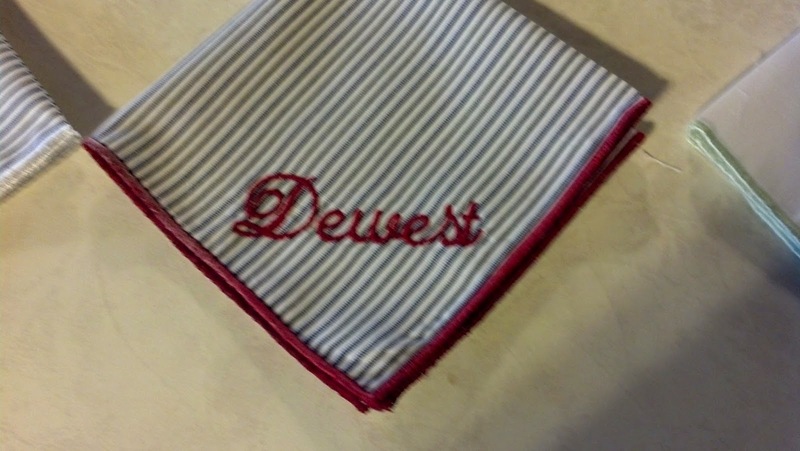 The other pinstriped hanky was only to have the word Dewest on it in script. 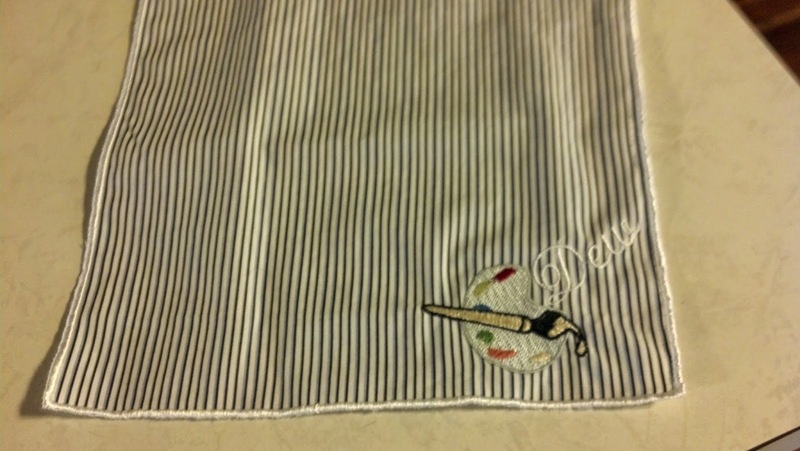 The hanky with the palette was edged with white thread. Dewest was edged in red thread. The other two were on white cotton and edged in pastel colors. 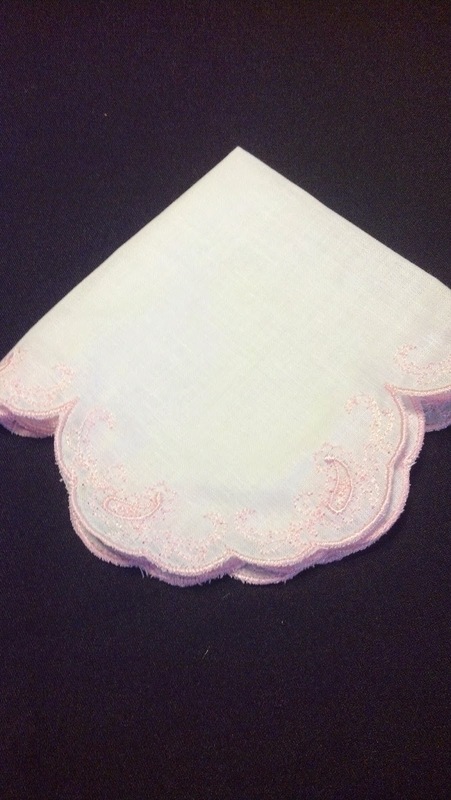 The white and pastel edged hankies were no big deal and they were done using a light tear away stabilizer. The hanky with the red edge was a bit more complex. You see, the tear away stabilizer is white and once you tear it away little specks of white can show around the edge. It does not show on white or light colors but for a dark color like red it poses a problem. Instead of the tear away for the red edged handkerchief, I used Vilene. Vilene is a wash away stabilizer. Basically it is a sheet of starch. After making the hanky with the red edge I soaked it in cold water. It turned out beautiful. 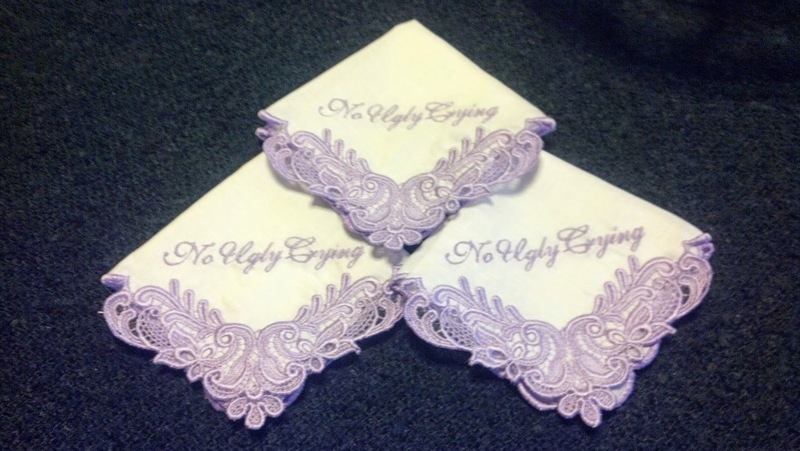 The handkerchiefs were mailed to the customer who, upon receipt, replied that three of the hankies are beautiful but the one with the red edge is discolored and hard. I knew it was the starch so I told her that before she had to send it back and I make another, for her to soak the hanky in cold water. She did soak it overnight and replied the next day that it is as soft as the other hankies. She just couldn’t believe it was starch because the fabric wasn’t hard, just the edge. Ah, another satisfied customer. A baby shower was approaching and I needed a baby shower gift. I’ve made baby booties before and have some adorable patterns. So, I made a pair of baby booties. They turned out okay, I guess. They really are not that hard to make. The problem is all of the little, tiny pieces. Finally, I got the idea of scanning the pattern pieces into the computer and digitizing them. OMG! It worked. I was able to do a running stitch for the seam and outline, including the little important divots. Then I turned on my boring needle and the machine cut out the pattern pieces perfectly. Sweet! The booties still had to be assembled and sewn on the sewing machine but with perfectly cut pattern pieces it helped so much with the sewing. 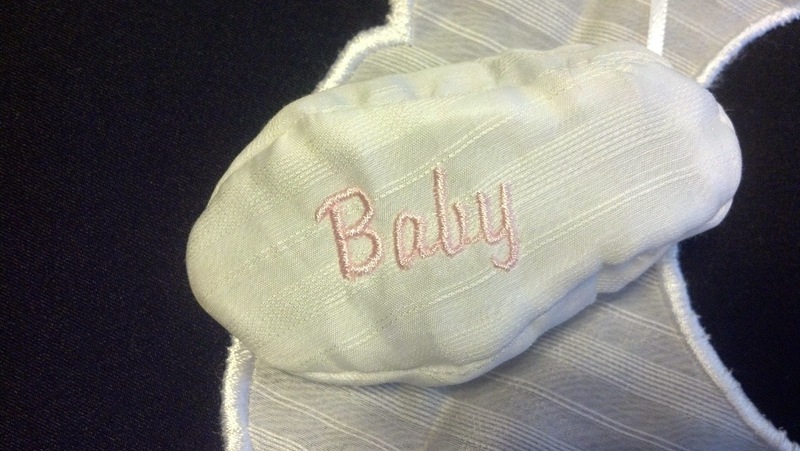 Better than that, I was then able to embroider on the pattern pieces before cutting them out. Yes, anyplace on the pattern can be embroidered, including the soles. They did turn out so cute. The time involved in making the booties is rather extensive. It still takes me 2-3 hours to make a pair of booties. This is much better than the first pair that took me the better part of the day to make. One problem still remains. The very last thing to do in making the booties is sewing the front, toe area. Mine rarely are curved properly. For my baby shower gift, I made a pair of booties with a matching bib and bonnet. The bib is also done on the embroidery machine. 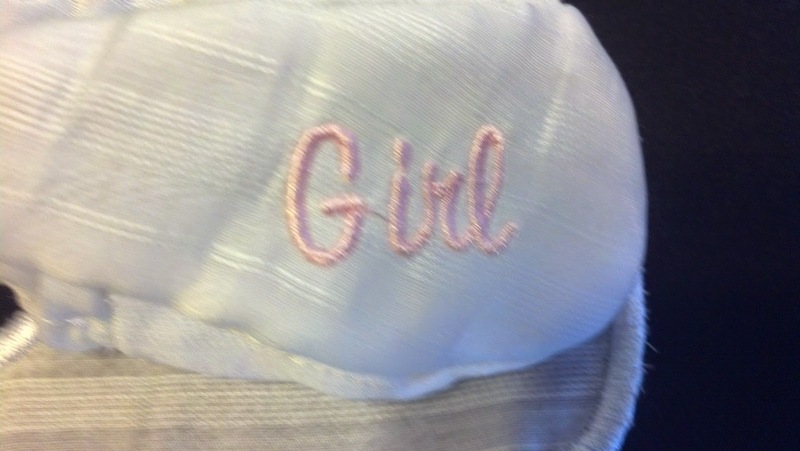 The bonnet is easy to make but other than the embroidery, could not be done on the embroidery machine. 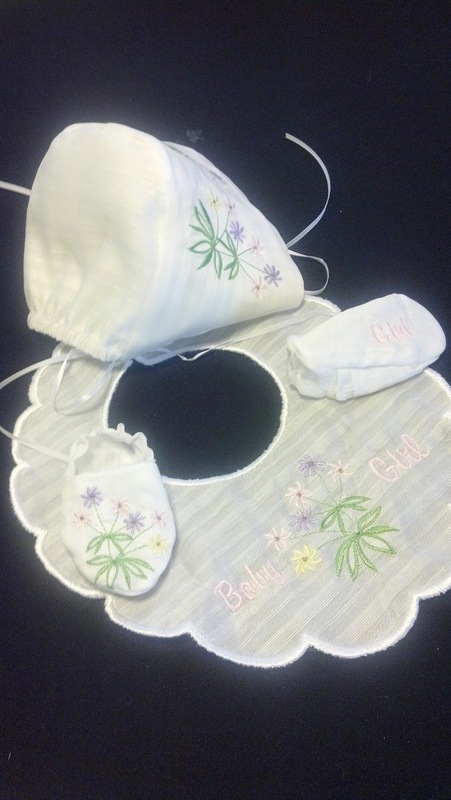 Of course, the baby bibs are for sale on Etsy and for custom orders. The booties are not; simply because I would have to charge $40-$60 per pair, which is ridiculous for a pair of booties. A friend/customer contacted me about wedding coasters. Her son is getting married and she wanted a special coaster to go under candles that will be placed on each table at the reception. In addition, she wanted something that her son and daughter-in-law could keep and use. We ended up making 5” wide coasters in the shape of a sea shell with the names embroidered on the edge. Using one of the special features in our digitizing program we were able to embroider the last name as a loose fill stitch on the entire area of the shell. All 24 coasters turned out lovely and the customer was happy. 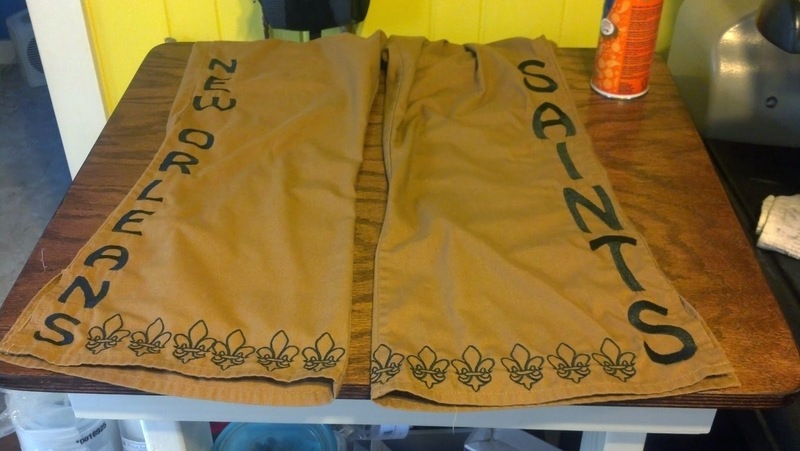 Another customer, a real New Orleans Saints fanatic, found a pair of scrub pants in the gold color of the Saints. She asked that I design something that said New Orleans Saints and included some fleur de lis. Our end design was “New Orleans” down one side of the pant leg. “Saints” down the side of the other pant leg. Fleur de lis across the bottom of each pant leg. 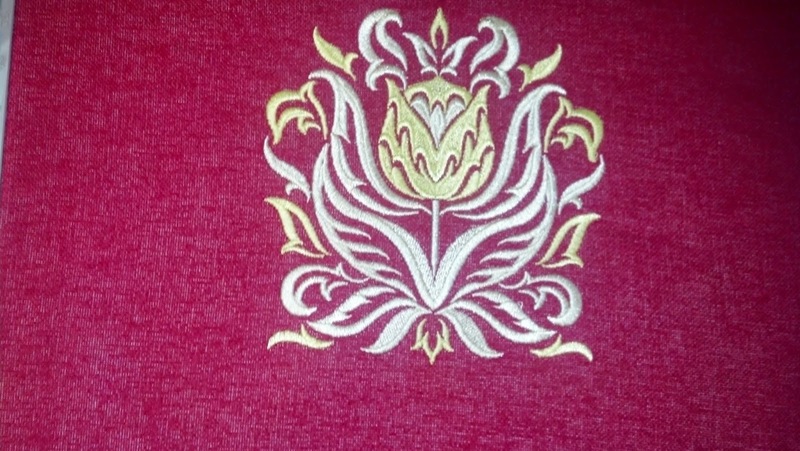 Recently we obtained some new embroidery designs. One of the designs is the Pledge of Allegiance. It is very pretty. I’ve heard that schools no longer have the children recite the Pledge of Allegiance each morning. That is a shame. 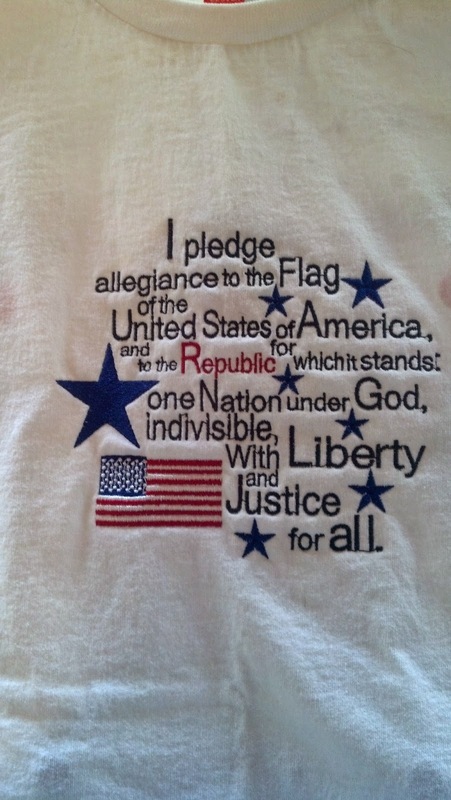 What about having the Pledge of Allegiance embroidered on patriotic tee shirts? Last year George and I purchased identical tee shirts. They are white with red and blue stripes on the sleeves. I stitched out the design and it stitched out just fine. We are now going to stitch it out on our tee shirts to wear for Memorial Day, 4th of July, and other patriotic days. I’m doing mine on the front but George wants his on the back. At least the kids can see the words and we will make a statement, too. You know when my embroidery tech comes by she gets me up to date on all of the latest embroidery techniques and things. This visit was all about Thread Velvet. Thread Velvet is a technique which I think is registered to Viking or Pfaff. 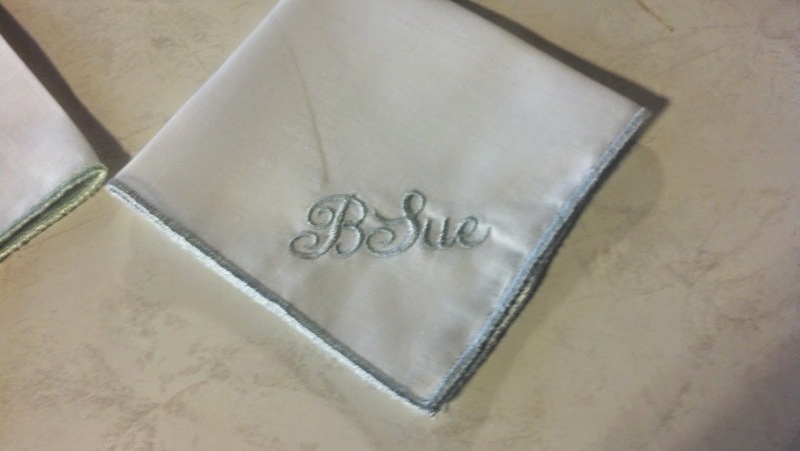 The method is to sew a satin stitch in one color with a bean stitch around the edges. Then embroider another satin stitch on top of the first but slightly larger; and, bean stitch around. You can have as many layers as you like. Once finished, slit the middle of the satin stitches and fluff them. If you use a darker color on the bottom and a lighter color on the top (or vice versa) it gives an illusion of a little strip of velvet and is beautiful. It is hard to describe but I am definitely going to have to play with this technique. Everything that I’ve read says it can be laundered but launder gently. Of course, the more layers the thicker and richer it looks. The wife stared at him.